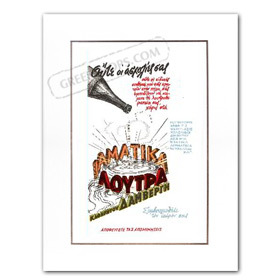 Vintage advertising poster for Loutraki Lemonade from the region Corinthia, circa unknown. Please see additional images for more details. Please allow 3-4 weeks for delivery. This item is a special order item and return/exchange/refund restrictions apply. Please review our current sale terms and conditions before ordering. This print comes with a decorative mat board, but does not include a frame. Our vintage posters capture several city views at different time periods from the late 1800's to the 1970's. If you do not see your favorite city, or looking for a particular city street view from a city already in our catalog, please Contact us. This poster is part of an extensive vintage photo archive which contains more cities and city views which are available for ordering.